For a long time, cocaine has held a reputation as a classier brand of drug. It is sometimes referred to as “the caviar of drugs.” One factor that has helped it to cement and hold this reputation is the fact that there is a long, long list of celebrities who have either been busted with or have admitted to cocaine use throughout the last several decades. Robert Downey Jr. has pulled his life together now but had spectacular scandals erupt around him in 1987 and then again in 1996 related to his addiction problems. He had to go to rehab several times before finally being able to kick cocaine and start to make it big in movies again. Nicole Ritchie said she did it because she was bored and “creating drama in a very dangerous way”. Drew Barrymore famously had to go to rehab at the age of 13 after dabbling in several forms of substance abuse. She said that the adults she was around thought it was “cute, a little girl getting stoned…” so she began to play into that, trying to keep that admiration by trying more and more drugs. Stephen King spent most of the 80s in a frenzy of cocaine and alcohol before finally getting clean with the help of his wife. When Amy Poehler (noted comedian and TV star) wrote a memoir recently, she included a chapter literally called “Obligatory Drug Stories.” In that chapter she detailed her use of cocaine, ecstasy and marijuana. And just this weekend, Gigi Hadid, a Sports Illustrated swimsuit model, was caught on video dancing and supposedly doing a line of cocaine off of a countertop. Why does this drug turn up again and again in the hands of people who could otherwise hold such good influence as role models? For starters, cocaine is perceived as a status symbol, since it’s more expensive than other substances. Thus, celebrities can afford the bad habit, and may even feel that it is a sign of their having “made it” as a famous person. 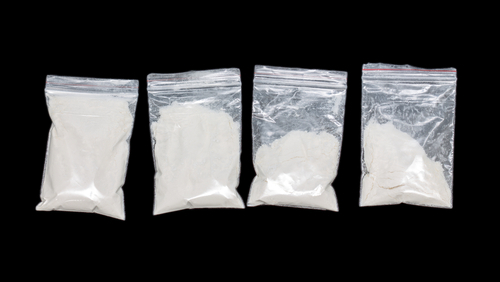 Physically speaking, there has long been a conception that cocaine isn’t very addictive. (It is now known that though the withdrawals don’t ravage the body like heroin or meth, it is still extremely psychologically addictive.) Thus they “can stop anytime,” and don’t generally feel pressured against trying it just once or twice at parties where everybody else seems to be doing it. There are also the physical facts: because it can be snorted rather than injected, cocaine doesn’t ravage one’s body with pockmarks like crack or heroin can do. It doesn’t attack one’s looks and teeth like meth. A large portion of our culture is set up around the worship of celebrities—we praise their looks, obsessively follow them in the tabloids, have whole industries built up around their movies and careers…. the field caters to a certain amount of self-importance and ego. And for that kind of personality type, there isn’t a better drug than cocaine.